DIVE INTO THE MUSICAL CHANT OF BKB IN THIS YEAR’S MAHALAYA! – PC's Interest! Hello to all my readers, who have been following my blog for the past six years. Here’s wishing all of you Shubho Mahalaya! You might be wondering what is Mahalaya? Well, don’t fret! I am coming down right to the main point and take your time in grasping the article about Mahalaya. Come autumn and Mahalaya, and the Bengalis get busy to complete the final preparations for their greatest festival – the Durga Puja. This year, Mahalaya is being observed by the people of India on October 8 and those in Bangladesh, the very next day, on October 9. Mahalaya or Devi Paksha is an auspicious occasion observed seven days before Durga Puja, and heralds the advent of Durga, the goddess of supreme power. It is a kind of invocation or invitation to the mother goddess to descend on earth – “Jago Tumi Jago”, which means “Wake Up Mother Durga” in Bengali. This is done through the chanting of mantras and singing devotional songs. 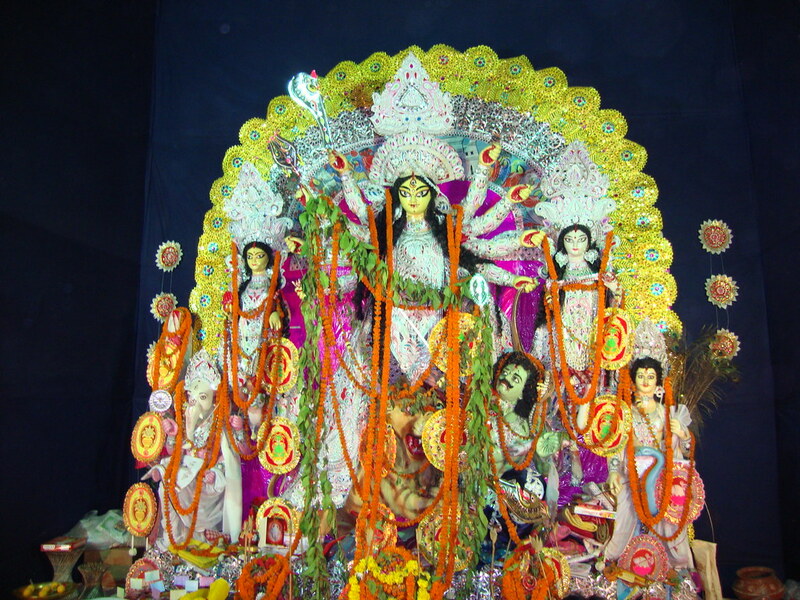 Since the early 1930s, Mahalaya has come to associate itself with an early morning radio programme called “Mahishasura Mardini” or “The Annihilation of the Demon.” This All India Radio (AIR) programme is a beautiful audio recitation from the scriptural verses of “Chandi Kavya”, an album of Bengali devotional songs, classical music and a dash of acoustic melodrama. The programme has also been translated into Hindi set to similar orchestration and is broadcast at the same time for a pan-Indian audience. It has almost become synonymous with Mahalaya. For nearly six decades now, people rise up in the pre-dawn hours, at around 5 am on the Mahalaya day to tune into the “Mahishasura Mardini” broadcast. 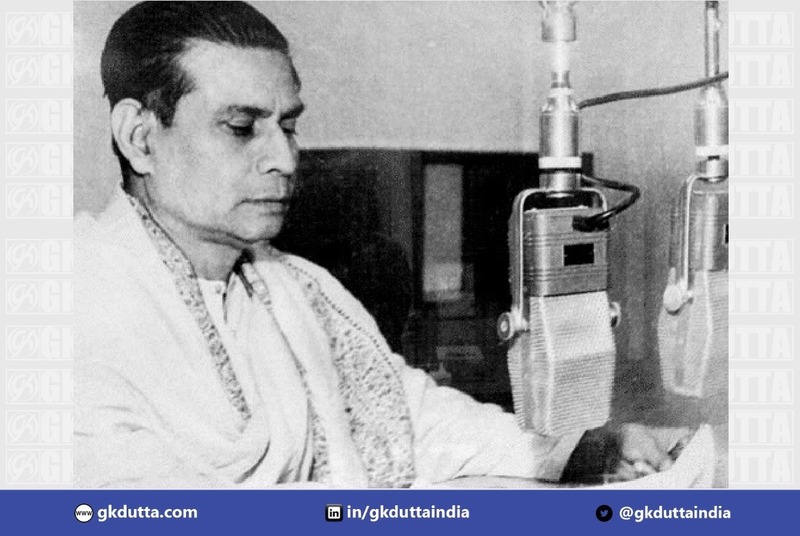 One man who will always be remembered for making Mahalaya memorable to one and all is Birendra Krishna Bhadra or BKB popularly, the magical voice behind the Mahishasura Mardini. The legendary narrator recites the holy verses and tells the story of the descent of Durga to earth, in his inimitable style. BKB has long passed away, but his recorded voice still forms the core of the Mahalaya programme. In a sonorous, reverberating voice, BKB renders the Mahalaya recital for two thrilling hours, mesmerising every household with the divine aura of his narration, as the Bengalis submerge their souls in quiet moments of prayer. Mahishasura Mardini is a remarkable piece of audio drama. Though the theme is mythical and the mantras are Vedic, the programme itself is a landmark composition. It was scripted by Bani Kumar and narrated by Bhadra. The enchanting music was composed by none other than Pankaj Mullick. All the songs are rendered by famous singers of yesteryears, including Hemant Kumar, Manna Dey and Arati Mukherjee. As the recital begins, the serene morning air resonates with the long drawn sound of the sacred conch shell, immediately followed by a chorus of invocation, melodiously setting the stage for the recitation of the “Chandi Mantra”. The story element is captivating and engrossing. It speaks of the increasing cruelty of the demon king Mahishasura against the gods. The demon king claimed that no man or woman would be able to defeat him. Unable to tolerate his tyranny, the Gods plead to Vishnu to annihilate the demon. The Trinity of Brahma, Vishnu and Maheshwara (Shiva) came together to create a powerful female form with ten arms – Goddess Durga or “Mahamaya”, meaning the “Mother of the Universe”, who embodies the primeval source of all power. The Gods then bestow their individual blessings and weapons upon the supreme creation. Armed like a warrior, Goddess Durga rides a lion to battle with Mahishasura. After a fierce combat, Durgatinashini slays the demon king with her trident. Both heaven and Earth rejoice at her victory. With her triumph, the Durga Puja festivities begins and lasts for five days, worshipping her strength and dominance over the world. So there you go! Durga Puja will commence from October 14, on Maha Panchami and will culminate on October 19, which is Maha Dashami or Dusshera. During that day, the idol of Goddess Durga is immersed, who make a tearful departure back to the heavens.